A story which would keep your kids captivated till the end. I have not read the first book. I am sorry about that. Having said that, it did not stop me from enjoying this book thoroughly because this book has no connect with the story of the first book but only the protagonists - Prash and Nish. Though they are kids, it never stopped them from being a super detectives themselves. In this story, they use their skills to find out the missing Daulihaam(A Blue Diamond Gold Choker). The story behind this precious ornament dated back to the period of Prithviraj who had gifted it by then to his beloved wife which during the course of time leaves India. Ananth Roy vows to bring it back to India for his beloved wife. Even though he was successful in procuring it in an auction paying a staggering sum, something goes amiss. 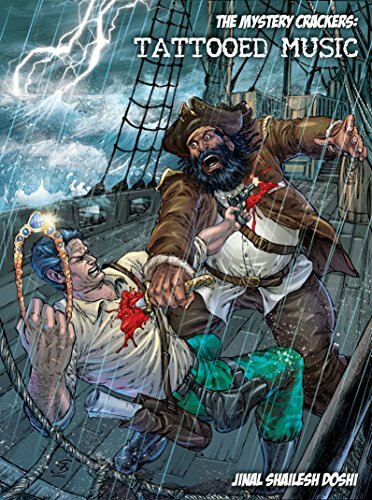 He never reached home since his ship gets struck in a typhoon and on the other hand, a dreaded pirate "Black Piper" strikes. Was Mr Roy's ship attacked by him? 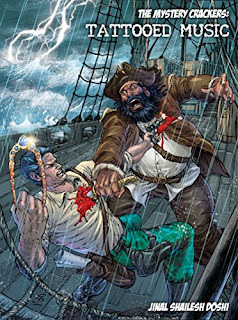 Did the fraternal twins Prash and Nish able to rescue the lost treasure? You should read this book or rather make your kids read since this would surely enthrall them as the story revolves around other characters Mr and Mrs Soni, Mrs Dina Roy, Mr & Mrs Dattani, Senior Inspector Rajveer Rathod, Golu, Mr Talwaar, Dr Shetty and last but not the least Miss D'Silva who will surprise you when she reveals her real identity.